Prayer is powerful! When we pray, we can literally change the world with our words. 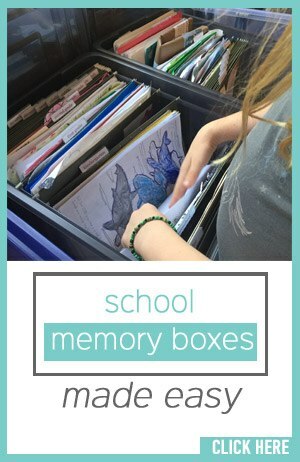 What an awesome thing to pass on to our kids! 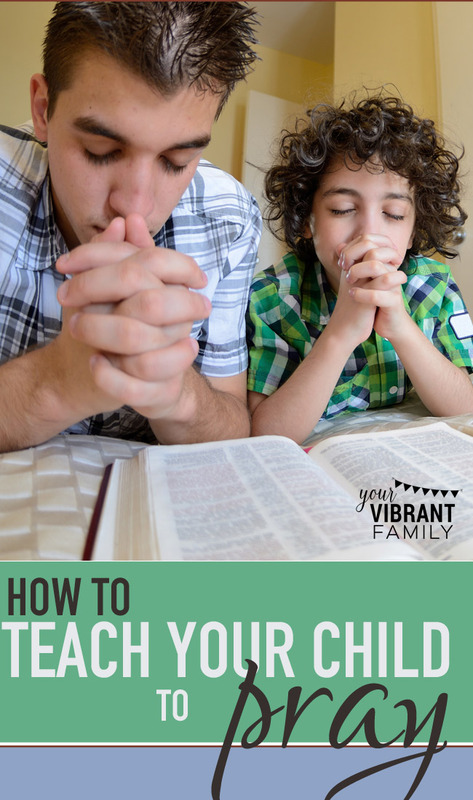 How can we teach our kids to pray? It’s not as difficult as you may think. You can raise kids who change the world through prayer too! My twelve-year-old son and I sat on the back porch swing, swaying in the last afternoon rays of sunshine. My heart was heavy as I told him of a friend’s daughter who was going through some intense times of rebellion. He listened and slowly nodded, a small “this is all-too-familiar” smirk playing on his face. He’d known this path well. He looked over at me, his eyes meeting mine for a quiet moment. Then I looked back up at him and suddenly I saw the light come on in his eyes: For the first time, my son saw how his very painful past experiences in this area could be redeemed into a beautiful ministry opportunity for God. I’m happy to say that my son and I joined hands in the swing that day and lifted up this hurting young woman (and her parents) to the Lord. And through our tear-ladened words, God, in the amazing restorative way that only He works, built that much more beauty from the ashes of my son’s wounds. Opportunities like these that teach our kids about pray are everywhere! These situations may not always be this dramatic, but each offers incredible teaching avenues that encourage our kids to become praying kids that can change the world with their words. I’m not a prayer “expert” (I don’t think anyone is, by the way), and honestly, I don’t believe that there are any “right” or “wrong” ways to pray. Prayer is simply entering into a conversation with God. Each person has their own style and way to connect to others; and therefore, it makes sense that we can each have our own ways to have that conversation with God. Do you have a friend who calls to tell you she’s worried about her daughter’s illness? Offer to pray for her right then and there. Are you driving on the freeway and you notice someone with car troubles or there’s an automobile accident? Say a quick prayer that God would bring them help quickly and that He’d comfort them during this scary time. Did your child just have a massive temper tantrum and is now embarrassed and repentant for his actions? Help them sort out their emotions, and then encourage them to pray (either by themselves or with you) through all they’re experiencing. Just be real. Be authentic. Let your kids see you keeping up that conversation with God all throughout your day. Let them see that God is intimately involved in all aspects of your life, and that prayer is the vehicle for that guidance. 1) De-mystify prayer. I’ve found that some of my kids are more daunted than others by the simple idea of prayer (especially praying aloud). But really, it’s just a conversation. And conversation includes both talking and listening (more on this in a minute). 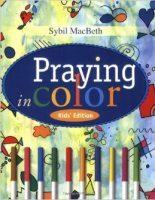 2) Teach kids healthy prayer patterns such as ACTS. While I don’t think that there’s a certain type of prayer that’s more “blessed” or “proper” than others, I am a huge fan of encouraging my kids to consider the acronym “ACTS” (Adoration, Confession, Thanksgiving, Supplication) during their “talking” part of the prayer. 3) Teach them how meditating on God’s truth and listening is a part of prayer. I believe that deeply contemplating a scriptural truth (while also internally asking, “God, how does this apply to me or to this other situation I’m experiencing right now?”) is an excellent way to hear God’s guidance through prayer. This is the “listening” aspect of prayer. We teach our kids to use “The 5 Rs” while studying a Bible verse and the last two “Rs” (“Relate/Reveal” and “Respond”) can help anyone practice the discipline of learning to hear God’s still, small voice. 4) Teach kids to pray honestly. I didn’t become a Christian until I was 19, and so I didn’t grow up hearing “the right words to say” while praying. My first prayers as a new Christian were bold and raw because I hadn’t learned the little Christian phrases so many of us pick up. And you know what? My prayer life was especially rich during this time! I think God really treasures when we say exactly what’s on our hearts (He already knows those real emotions anyway!). 5) Share with them answered prayers. I love telling my kids, “Remember when we were praying about…” and then telling them the amazing God-story that came of it. These are the bricks that build the walls of faith for our kids! 6) Teach kids the discipline of a regular prayer time and of prayer lists. There are set times in our day or week when my husband and I pray together, for example. We also have prayer lists (general ongoing prayer topics) that we pray for regarding each child, our family, our friends, our neighborhood, our country and the world. As our kids have gotten older, we’ve invited them into these times, and we’ve encouraged them to start keeping prayer lists. 8) Teach them how to journal their prayers. When I have a hard time knowing what to pray (or if I’m feeling overwhelmed by all that I need to pray for), I just begin writing it out in a prayer journal. We encourage our kids to write down their prayers in a conversational format (especially when they’re trying to pray through difficult emotions they’re experiencing). 9) Pray for others’ needs with your children present. Let them see you coming to God on other’s behalf. Kids need to see that prayer isn’t just a selfish “God-I-need this” sort of thing. Instead, encourage them to develop eyes of compassion to see how they can pray for others. Then, prayer becomes a privilege where we can lift our loved ones up to God on their behalf! 10) Pray for each child (in their presence and privately). We love to invite God’s presence to work in the lives of our kids! And because I think anyone appreciates knowing that they’re being prayed for, we tell our kids often that we’re praying for them regarding specific situations. 11) Demonstrate boldness by praying in different situations (in public, with friends, as a family, etc). Prayer can be a beautifully private expression or an equally elegant public testimony of faith. Again, just let them see that prayer is simply conversation. And conversation happens at any time and in any situation. 12) Pray that your child would develop a passion for prayer. 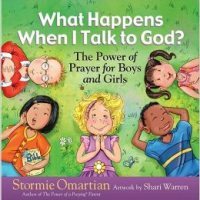 Perhaps this seems obvious, but ask God to give your child a strong desire to include prayer into all aspects of his life. Pray that he wouldn’t see it as a ritual, but as a opportunity for connection, surrender and trust. 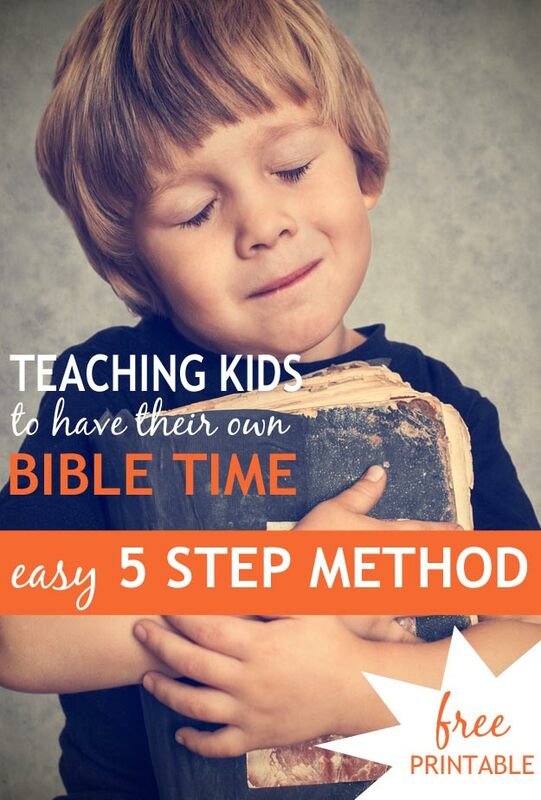 5 Step Method for Kids Personal Bible Study Time (with Free Bookmark Craft Printable)–the “Relate/Reveal” section helps them practice the art of learning to listen to what God may be saying to them through a scripture passage. This is an internal type of prayer conversation. 1) Every cultural shift toward Christ-centered living starts in prayer. It makes sense that if we want to impact our culture for Christ, we need to listen regularly for what He may want to do in our culture. That time of connection comes through a habitual prayer life, and the strongest habits are instilled when we are young. 2) Prayer connects each of us toward each other. Our world suddenly becomes smaller when we pray for someone else’s need on the other side of the planet. And even if we’re praying for the person next to us, prayer allows us to get outside of our own selfish needs and to serve others. Wouldn’t you agree that world-changing kids need to be kids who can recognize other’s needs? 4) Prayer reveals God’s action plan for a given situation. Prayer allows us to tap into the One who knows all aspects of a situation, holds all things together and who knows the best solution. It’s through prayer that God reveals how we can play a part in the change. Prayer is an essential part in the life of a believer, and especially important if we’re striving to raise our kids to be world changers. May God reveal to you how you can encourage your kids to be praying kids so that they can impact the world through their words! 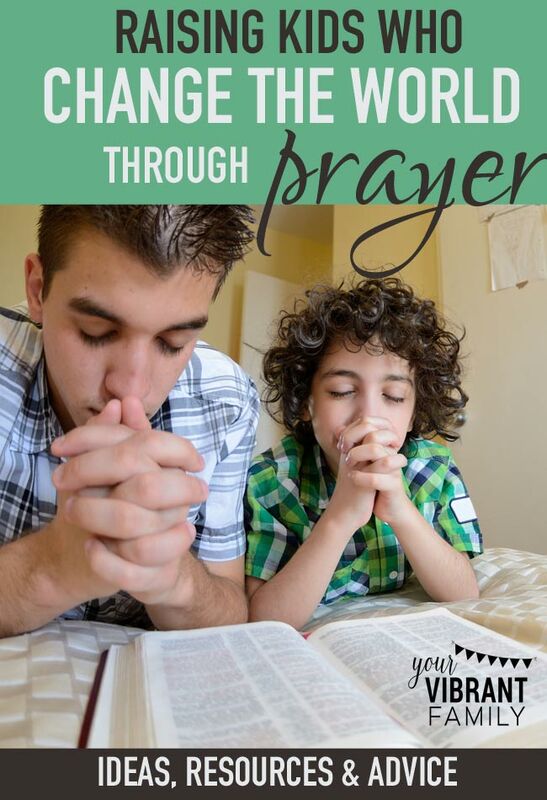 How do you encourage your kids to pray at all times and in all seasons? How have you seen God orchestrate amazing prayer opportunities for your children? Do you have other ideas for building praying kids? Let’s share and encourage each other in the comments below!